I recently graduated with my PhD in Environmental Toxicology where my focus was determining Pb shot exposure in American woodcock, a small gamebird. In doing so, I gained hands-on experience using inductively coupled plasma-mass spectrometry (ICP-MS). My background in analytical chemistry provides me with a unique view on sampling, analysis and data quality that enables elemental analysis of a variety of difficult environmental samples. I aim to use analytical chemistry techniques to provide an understanding of biological and environmental changes and aid in conservation. With the capabilities in the ICP-MS Suite at the University of Waikato I plan to focus on elemental speciation, in particular arsenic (As) and antimony (Sb). My interest in speciation stems from an ecotoxicology perspective as the elemental species plays an important role in the elements toxicity. My knowledge and experience with ICP-MS has led me to collaborate on a variety of different metal-related projects, all of which presented opportunities for learning new techniques and developing a deeper understanding of the complicated movement of metals through the ecosystem. I completed my PhD in Environmental Science with a focus on the accumulation of cadmium (Cd) in New Zealand agricultural soils. Cadmium is a biotoxic metal mainly originating from the application of phosphate fertiliser which has been applied to NZ soils since the 1800s. During my PhD research, I assessed the behaviour of Cd in contrasting soils including Cd leaching potential, and tracking the fate of Cd in the terrestrial environment using stable Cd isotopes. My work is supported by an MBIE Smart Ideas grant and gives me the opportunity to continue this project. I will be monitoring the Cd level in soils, plants, ground and fresh water and aquatic organisms. Using the isotope approach, we can assess whether the Cd in a sample is from fertilisers or is natural and how much of applied Cd to soils is taken up by plants or leached out of the soil. 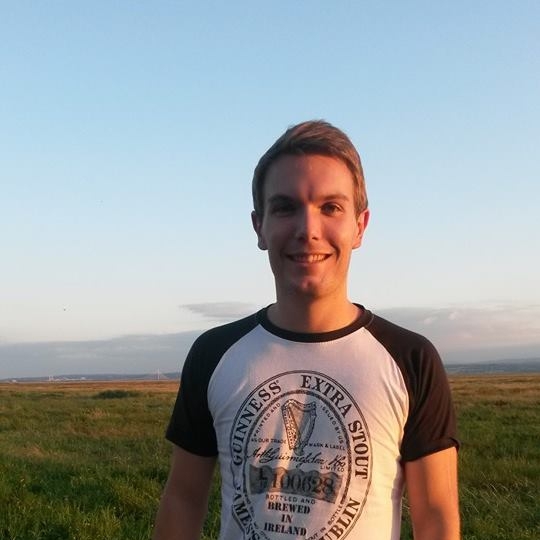 I’m Chris, and I am currently finishing a PhD in Earth System Science at the University of California, Irvine, after which I plan to join the Waikato Environmental Geochemistry group in January 2020 as a research fellow. My research, under the supervision of Dr. Kathleen Johnson, has focused on developing stalagmite records of paleoclimate from mainland Southeast Asia. Specifically, I have been investigating how trace elements and radiocarbon may act as hydrologic proxies in a speleothem record over the last deglaciation and Holocene with a focus on abrupt, global climate events. These projects have involved field work and cave monitoring in Laos and Vietnam as well as extensive lab work using ICP-MS and AMS techniques. I plan to apply my interests and experience to new projects in the South Pacific and New Zealand while continuing to explore the geochemistry of karst and cave environments. I also hope to contribute to the community in and around the University of Waikato through mentorship, service, and collaborations. Hi, I’m Seb. I obtained my undergraduate degree in Marine Science (BMarSc) at James Cook University, Australia, with a focus on physical and geochemical processes in the ocean and tropical coral reef systems. My studies continued closer to home in northern Germany, where I completed my MSc in Marine Geosciences at the University of Bremen. I had the opportunity to carry out some exciting field and lab work throughout my studies, during which I developed a particular interest in looking at past and present climate variability based on the chemical composition of biogenic carbonates. In my MSc thesis I assessed the use of strontium isotopes in modern and archaeological bivalve shells and fish otoliths as a tracer for freshwater discharge in NW African estuaries, yielding new insights into the activity of the West African Monsoon System over the last 6,000 years. For my PhD, supervised by Dr. Adam Hartland and Dr. Megan Grainger, I am now looking at developing a new speleothem hydroclimate proxy based on the interactions of trace metals in dripwater with organic ligands. The project will involve the establishment of cave monitoring programs in New Zealand and islands of the South Pacific, as well as carbonate growth experiments mimicking cave conditions in the lab at UoW. This novel type of proxy aims to allow for quantitative estimates of past cave drip rates derived from measured trace metal concentrations in speleothems, ultimately providing new information on recent and Holocene changes in the New Zealand and South Pacific hydroclimate. I’m excited to join this growing field of research, and am looking forward to exploring the stunning NZ outdoors in my spare time. Hi, my name is Brittany. I obtained my BSc in Geology from Grand Valley State University, where I had the privilege to serve as a McNair Scholar and Space Grant Consortium Fellow. These programs enabled me to gain paleoceanography research experience, were I developed a love for lab and field work. I shifted my focus to terrestrial paleoclimate research during my MSc at Boston College, where I used speleothems as archives of past hydroclimate. My project was focused on assessing the temporal and spatial variability of the South American Monsoon System over the last 10,000 years. My PhD research, under the supervision of Dr. Adam Hartland, will focus on using a variety of speleothem-based proxy systems to understand the hydroclimate of New Zealand over the last 36,000 years. Through project QUEST, I will be developing a method to extract and measure speleothem fluid inclusions here at UoW, which are gaining momentum in the field of speleothem-science as a proxy of paleotemperature. These measurements, coupled with other speleothem-based proxy measurements, will enable us to explore new territory in New Zealand paleoclimate. Note: Amir took this photo when Thomas wasn’t expecting- he doesn’t normally look this grumpy! After graduating from the University of Auckland, with a BA/BSc Conjoint and BSc Honours in Chemistry, I traveled the world for three years. During this time I visited many communities feeling the effects of poor nutrient management, and nutrient run-off. Farmers in developed nations such as New Zealand face the same challenges. Excess nutrient concentration is one of the key determinants of the health and quality of fresh water systems. Under the supervision of Dr Adam Hartland, Professor Louis Schipper, and Professor Bill Henderson, I am undertaking a PhD research project developing a Diffusive Gradients in Thin-Films (DGT) sensor that integrates colourimetry to measure nitrates/nitrites and phosphates in fresh water. The aim is to produce a tool that is easy to use, accurate, and very affordable. I love the great outdoors and I spend most of my time tramping or going for walks. It is therefore a privilege for me to study something that I find much joy, in being one with the environment. On a more serious note, I am investigating the seasonal cycling of fresh water lakes and different trophic status effects on the bioaccumulation of monomethylmercury in trout in the Rotorua lakes. Monomethylmercury is the more toxic component of mercury and poses as a health hazard thus, there is a need for such data. I am being supervised by Associate Professor Nicholas Ling, Dr. Adam Hartland and Professor Brendan Hicks (University of Waikato). I have an interest in environmental change, having previously gained an MSc in Environment & Climate Change from the University of Liverpool (UK). In my PhD research (commencing May, 2015) under the supervision of Dr Adam Hartland, Dr Beth Fox and Dr Shaun Barker (University of Waikato), and Marcus Vandergoes (GNS Science), I will be aiming to use geochemical proxies within speleothems and lake sediments to reconstruct changes in the terrestrial carbon cycle through time. My PhD project focuses on the interaction between iron nanoparticles and phosphorus in lake systems with high internal loadings of iron. The objective is to understand how iron influences the bioavailability of P to autotrophs. My studies are supported by a Waikato University Environmental Research Institute Scholarship. My journey in Environmental Studies started in Iran, where I completed my MSc in Environmental Engineering at Iran University of Science and Technology. I have a strong interest in the fate and transport of contaminants in soils and aquifers. My PhD thesis is entitled “From soil to groundwater: assessing the leaching potential of cadmium across gradients of soil type and land-use”. In this study, I aim to deploy Diffusive gradients in thin films (DGT) solution probes in groundwater piezometers to monitor the concentration of Cd. This approach will be extended by measurement of the Cd isotope composition in order to characterise the Cd source(s) and biogeochemical processes affecting Cd mobilisation. I am supported by the Waikato University Doctoral Scholarship and supervised by Dr Adam Hartland and Prof. Louis Schipper. Aside from my academic interests, I enjoy exercising, camping, sport fishing and cooking! I’m Cinthya Nava Ph.D. student at Ruhr University Bochum. Through research, I am exploring the variability of the El Niño Southern Oscillation ENSO during the mid-Holocene. For this we are using oxygen and carbon stable isotope ratios and LA-ICP-MS analysis as a proxy of the past climate in the south tropical Pacific using a stalagmite from Niue Island. Another amazing chapter of my thesis involves cave monitoring at Waipuna Cave, New Zealand. During each visit we take dripwater samples and microclimate measurements in order to test the sensitivity of the cave to record external environment conditions as well as climate anomalies such El Niño and La Niña events. This research is framed by project QUEST formed by the collaboration of my supervisors Dr. Sebastian Breitenbach from RUB and Dr. Adam Hartland, who kindly hosts me at Waikato University, an extraordinary place to carry on the fieldwork and joyfully develop my project together with WEG friends. I gained my BSc in Chemistry at The University of Waikato and am now undertaking a Masters project that allows me to apply this knowledge to another of my interests- environmental research. Trace metals are known to respond to environmental variables and thus they have been a focus of speleothem scientists for their possible use as climate proxies. Trace metal incorporation at the speleothem surface is understood to respond to a number of factors including temperature, the growth rate of calcite and characteristics of the drip solution. However despite a long history of research on trace element partitioning into calcite, many uncertainties remain regarding the controls on trace metal incorporation into speleothems. My Masters’ project will involve studying the dissociation of metal-ligand complexes during calcite-precipitation. This will help us to understand the effects of organic ligands in cave drip waters on trace metal incorporation into speleothem calcite, and thus help to establish the use of trace metals as robust and reliable proxies for paleoclimate reconstructions using speleothems. Theodore Alfred N.K Kpodonu, PhD Thesis: Temporal variability in the water quality of a deep, temperate, oligotrophic lake (submitted May 2016). Current position: Water quality scientist, Research Foundation of The City University of New York. Julien Huteau, PhD Thesis: Fate & effects of estuarine contaminants as tracked by stable isotopes in Tauranga Harbour, New Zealand (submitted September 2015). Mahdiyeh Salmanzadeh, PhD Thesis: Cadmium accumulation in agricultural soils (Submitted March 2017). Current position: Lecturer, Waikato Institute of Technology. Phil Clunies-Ross, PhD Thesis: Glacial Suspended Particulate Material (SPM): Characterisation as an agent of nutrient and contaminant transport in freshwaters (Submitted December 2017). Helena Iuele, PhD Thesis: In situ measurements of endocrine disrupting chemicals in environmental waters (Submitted May 2018). Martin Andersen, UNSW Connected Waters Initiative Research Centre. November-December 2014. John Hellstrom, University of Melbourne, November 2015. Chaoyong Hu, China University of Geosciences, January-July 2016. Niklas Lehto, Lincoln University, April 2016. Sebastian Breitenbach, Ruhr-Universität Bochum, September-October 2016. Tihana Vujinovic, Lincoln University, June and October 2017. Dharshika Welikala, Lincoln University, June 2017. Mirona Chirienco, Okinawa Institute of Science & Technology, May-June 2017.